Residents in Delhi woke up to unprecedented levels of smog on Tuesday morning as levels of pollution breached safety standards by more than 30 times, derailing everyday life across the National Capital Region. 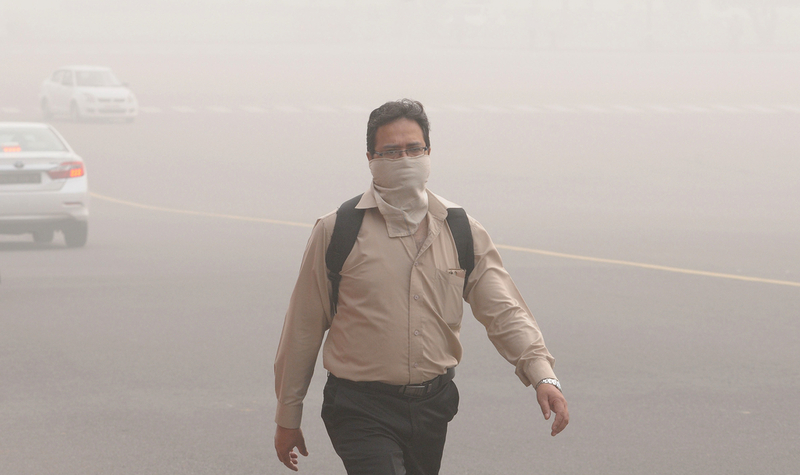 The crisis, which on Monday evening with low visibility and smog cover, was scaled up to ‘severe’ by 10 am on Tuesday, as the Central Pollution Control Board (CPCB) recorded hazardous dips in air quality. An alarming crisis, or the new normal? This is the second time in less than 20 days that the CPCB has recorded a ‘severe’ level of pollution, with the last one coming close on the heels of Diwali last month. While there’s panic among residents, with many refusing to step out onto the streets, the state government has enacted a mitigation response on a war footing under the Graded Response Action Plan (GRAP). What this means is that if you are in Delhi or are planning a visit this week, you could face parking fees quadruple the usual rate, and drastic curbs on vehicular activity (such as the infamous odd-even car rationing). According to official sources, the reason for the current crisis is low moisture levels, which have trapped local pollution in the air, and annual paddy stubble burning across farms in the neighboring states of Haryana and Punjab. However, the Air Quality Index (AQI) has remained at ‘very poor’ levels for nearly three weeks now, which in itself is an alarming level of pollution by global standards. The local government is even mulling a blanket ban on construction activity, as well as shutting down schools and institutions if the situation persists for more than 48 hours. Remain indoors – avoid stepping out as much as possible, even for short errands or for exercise. Use an air purifier – under such severe levels of pollution, even staying indoors could pose a health hazard. Always carry a pollution mask – if travel is unavoidable, carry a pollution mask and make sure the mode of transportation is not open. Be prepared before stepping out – use maps and online pollution data to look out for heavy traffic areas and areas with heavy construction activity. Remain in areas with more green cover – neighborhoods surrounded by parks or campuses with high green cover provide higher levels of oxygen. According to news reports, it could take up to the 15th of November for the situation to subside. If you are in Delhi, make sure you take these precautionary measures and stay safe!